Leaps in technology and performance of 3D printers have dominated headlines for many years. It seems each week brings new machines, new equipment capabilities, better resolutions and higher performance and speed. 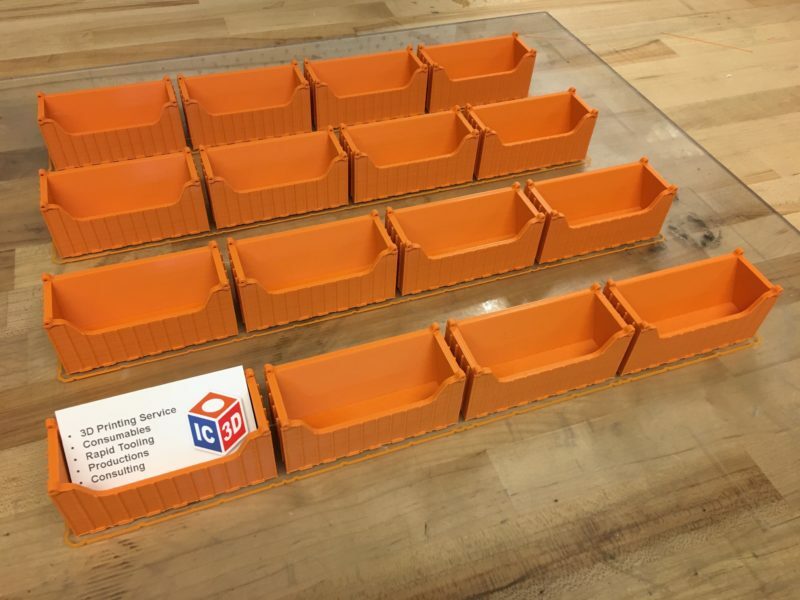 Materials for 3D printers however, have often been overlooked by tech media, viewed as “less glamorous” and more utilitarian than the printers themselves. But just as crucial as the 3D printer is the material used to create the parts. 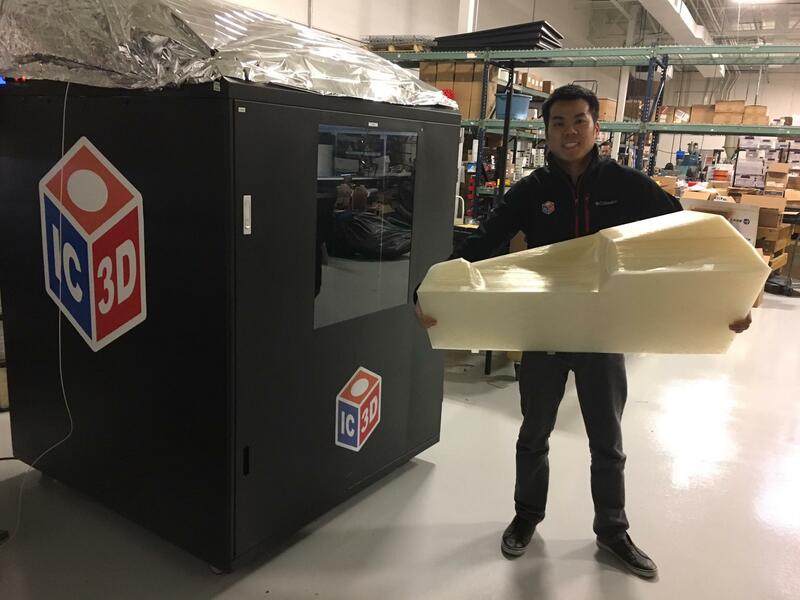 It may surprise many to know that research and development on materials for 3D printing is just as fevered and intense as the printers they feed. 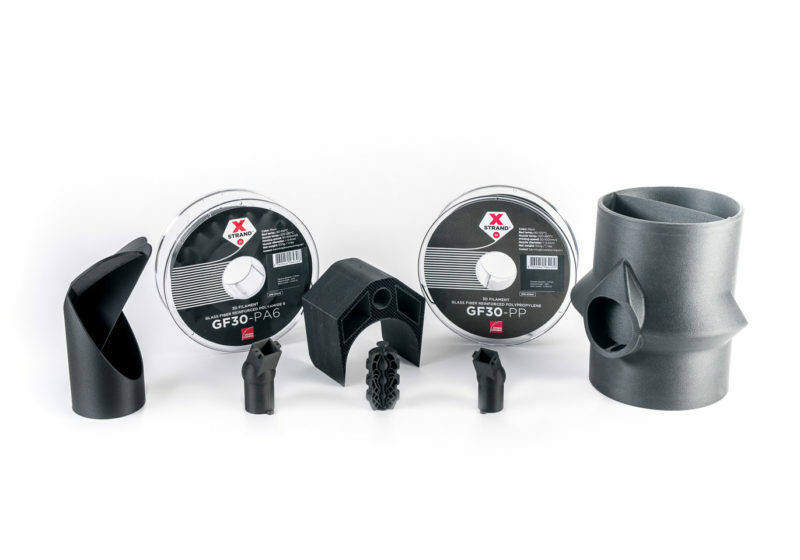 And just as each new generation of printer leads to new capabilities, the development of a new, vastly superior material can take 3D printing in a new direction as well, opening up capabilities for existing equipment previously not attainable, and creating new material performance benchmarks around which new printers can be designed. 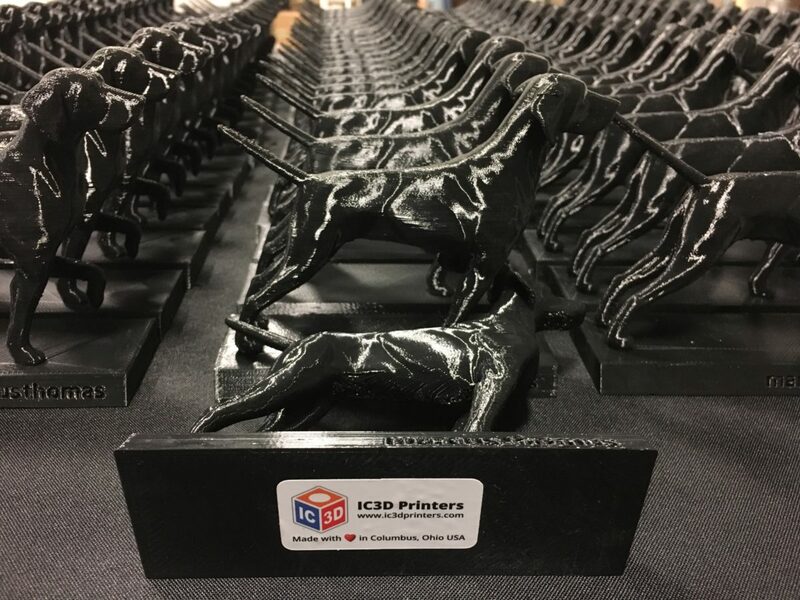 Owens Corning’s new XSTRAND™ is one of those game changing materials that doesn’t just improve print capability and part quality, it has the strength and characteristics to set the bar at a much higher level than before. 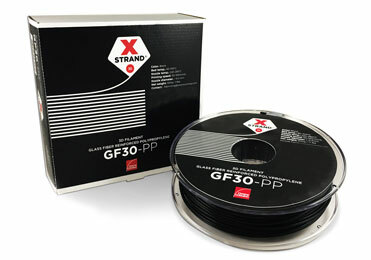 Designed to be used in most fused filament fabrication printers on the market, XSTRAND™ has taken Owens Corning’s long history of R&D in glass fiber composites and applied it to 3D filament. The result is a material with exceptional strength and performance. Applications for XSTRAND™ include Industry and Tooling, Transportation, Small Appliance & Electronics and Sports and Leisure. 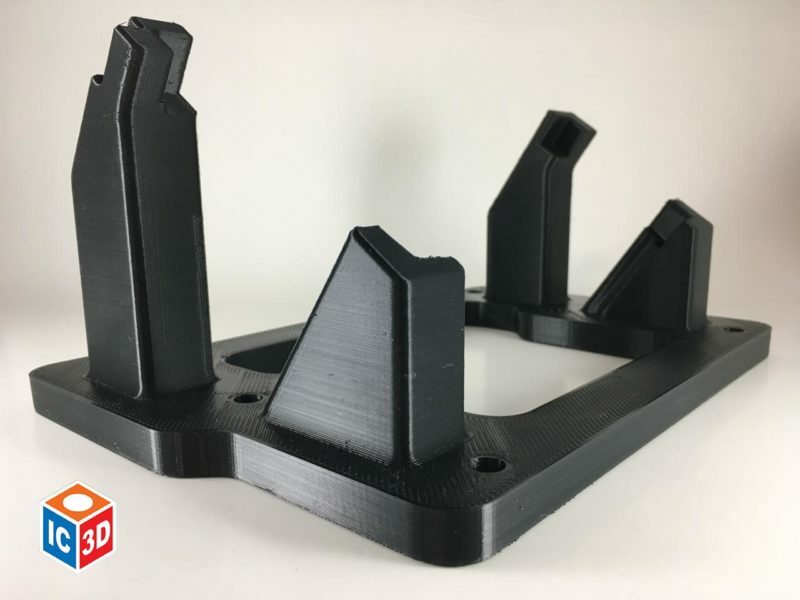 And because XSTRAND™ allows fibers to interlace between layers in the z-axis, finished part strength is greatly improved. It can even be used to create not just prototypes for visual, creative and aesthetic evaluation, it also allows for the creation of functional prototypes that can further reduce development cost. XSTRAND™ uses glass fiber reinforcement to achieve strength and stiffness of parts that can be up to 200% stronger compared to neat ABS. XSTRAND™ glass composite reinforcement allows glass fibers to cross from layer to layer creating stronger parts in the z-direction thus vastly improving a common problem in other material FFF parts. XSTRAND™ uses glass fiber reinforcement to achieve strength and stiffness of parts that can be up to 250% stronger compared to neat PA6.